In order to improve the ability of Bergzicht Training graduates to secure and retain employment in their first year after graduation, the organisation has spent the last six months working on a strategic vision that directly addresses this challenge, but continues to underpin its unique existing model. 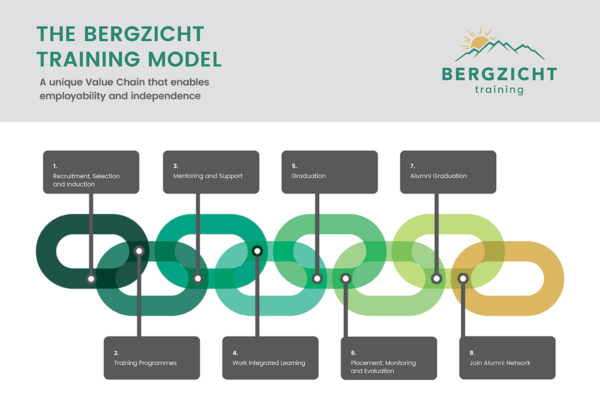 The end result, was Vision 2021, that led to the Bergzicht Development Model, a unique value chain consisting of eight links that enables graduates’ self-leadership and their employability. 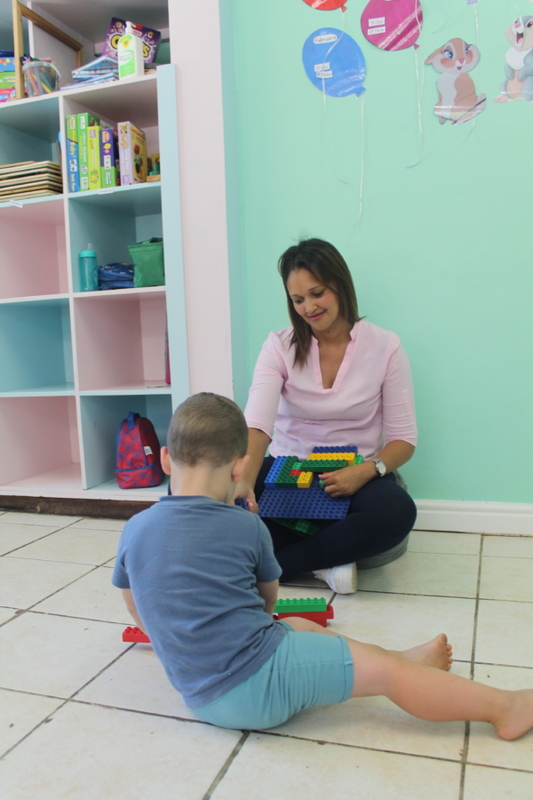 “Vision 2021 is underpinned by a Value Chain consisting of eight links or steps that we will follow going forward to ensure that we continue to enable the employability and self-leadership of our students and graduates,” said Ms Renske Minnaar, the CEO of Bergzicht Training. Beneficiaries will be developed as they move through the eight links that make up the Value Chain. Interestingly, the findings from a formative evaluation conducted by Soreaso Research Associates for Bergzicht Training have reinforced how essential the organisation’s Vision 2021 will be in addressing some of the key challenges expressed by various stakeholders participating in the evaluation. The overall goal of the formative evaluation was to “determine the quality and relevance of training programmes by Bergzicht Training as well as the sustained impact thereof on the professional life of its ex-students”. Those participating in the in-depth interviews included employers of graduates, management at establishments where students complete their work-integrated learning opportunity, current and past students, donor representatives and community leaders. The evaluation is done by Bergzicht Training every three years. Some of the key findings in the evaluation, said Minnaar, included suggestions that the practical components of the three advanced programmes are extended to ensure beneficiaries derive the maximum benefit from working within industry and that Bergzicht Training continue to work closely with mentors during the work-integrated learning (WIL) component, students, and the establishments where graduates are placed. 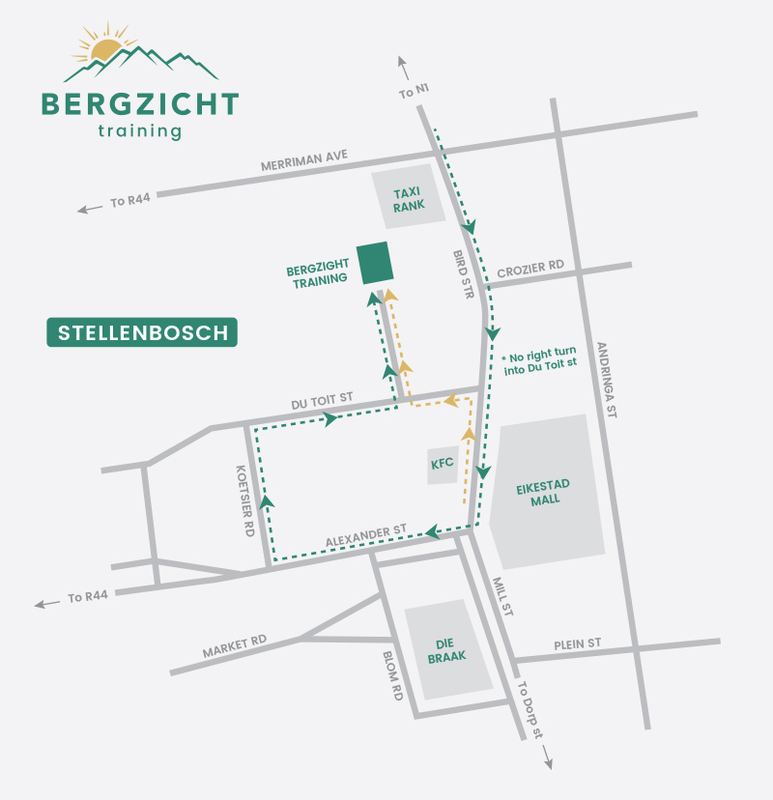 In addition, it showed that Bergzicht Training’s plans to implement a support programme during the graduates first year of work from 2019, would be well received within the various sectors. “The report also highlighted the increased need to foster entrepreneurial skills development for students and graduates to ensure they could create income-generating ventures for themselves. 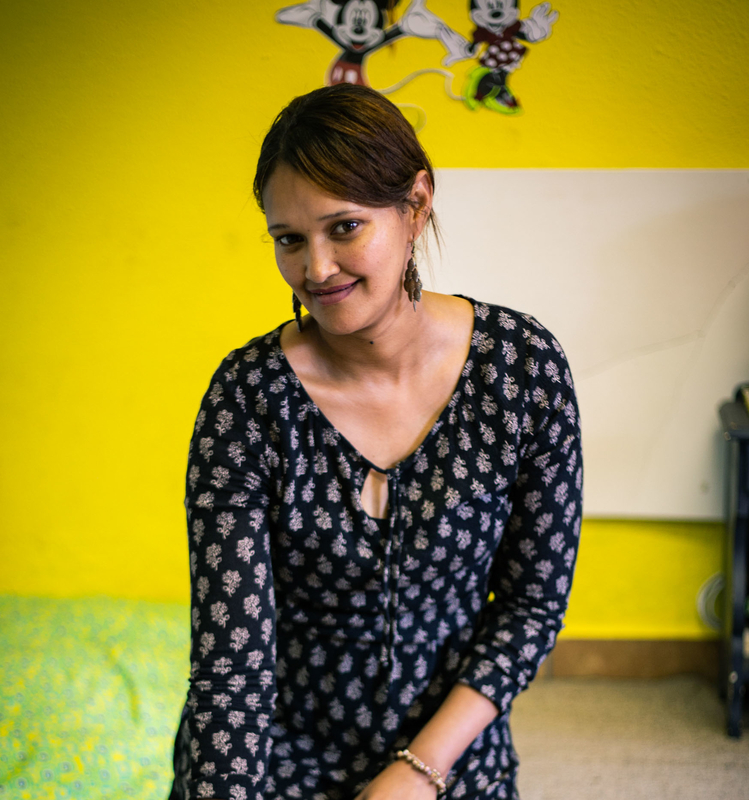 With poor economic growth and a South African recession which is now in full force, unemployment will be exacerbated and will create an even bigger need for Bergzicht Training’s graduates to become self-employed,” she said. Minnaar added that the evaluation also confirmed that Bergzicht Training’s decision to place a further focus on the personal development of students from the day of their interview to their inception into the Alumni Network through Vision 2021 was spot on. © Copyright Bergzicht Training | All Rights Reserved. Design by Nudge.